Forevermark Cabinets provide quality wood cabinetry at an affordable price. Highly functional, practical, and stylish, Forevermark Cabinets are durable and reliable to support high-traffic kitchens and busy family kitchens. Forevermark cabinetry features durable finishes and paints, solid wood construction, and superior hardware. Each distinctive cabinet door style is designed with love, care, and excellence in craftsmanship. 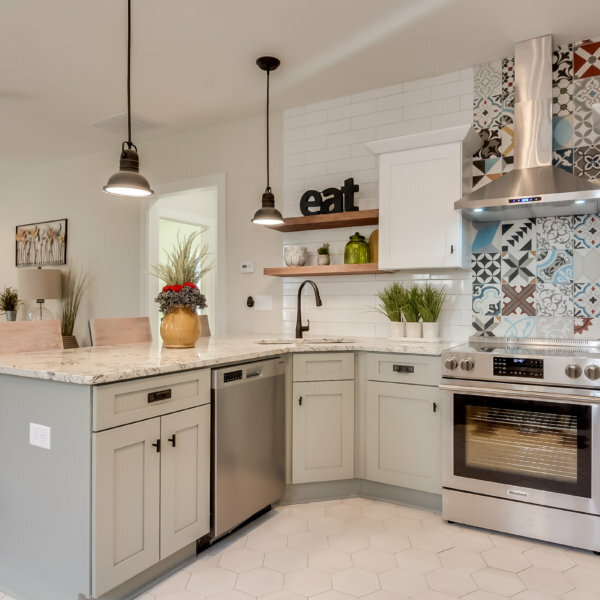 Home Art Tile Kitchen & Bath presents you 7 different Forevermark kitchen cabinet door styles and everything you need to know about the performance, warranty, the quality of cabinet door finishes, maintenance and care, as well as what different Forevermark cabinets reviews say. Read this before you decide to come to our cabinet store and shop for your Forevermark kitchen cabinets. What is your perfect kitchen setting? Is it classic comfort or sophisticated refinement? Whatever your preference, the Signature Collection’s raised panel design and antique glazing detail serve as the ideal choice to create the dream kitchen. Raised panel cabinet doors resemble more traditional style. However, modern hardware style helps create an interesting, innovative vibe for a perfect blend of modern and traditional. Forevermark Signature Brownstone cabinets feature a classic, traditionally looking raised panel design with rich brown notes. This unique combination successfully manages to bring both warmth and elegance to your home. Forevermark cabinet builders constructed Signature Brownstone cabinets with dovetail drawer boxes and full extension soft closing drawers. 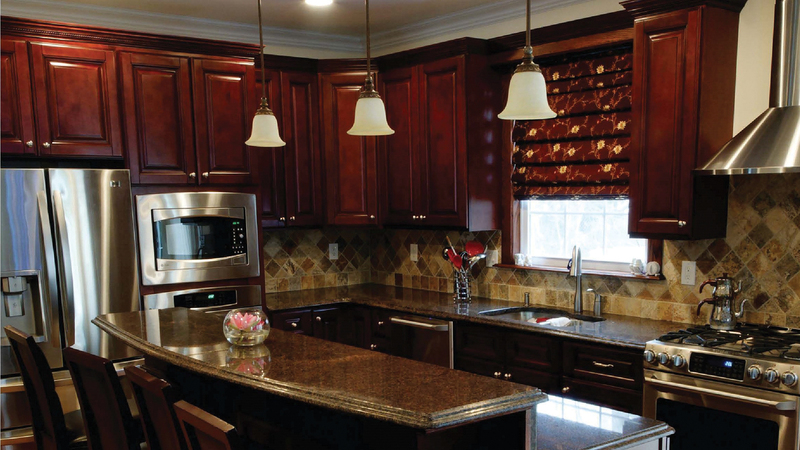 These features make Signature Brownstone cabinets functional and durable, not only beautiful. Impeccable looks is ensured with the dark sophisticated color and a delicate dark glaze. Do you love traditional looks but are intrigued by the modern luxury design? When it comes to combining tradition with the feel of modern luxury, Signature Pearl cabinets by Forevermark achieve excellence. Signature Pearl’s traditional raised panel design and antique white color serve as the ideal choice to create the perfect setting for your dream kitchen. Forevermark Shaker Collection features a clean, simple design characteristic for shaker style cabinets. This design pairs well with any kitchen layout or color scheme. 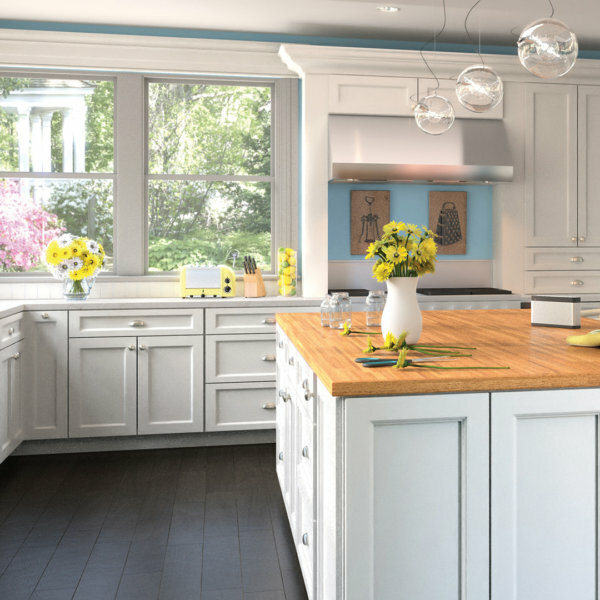 This means that regardless your kitchen layout or color scheme in your home, cabinets from Shaker Collection will be able to adapt to the situation. Shaker cabinetry line is adaptable enough for use in both traditional and modern homes. Available in 3 most favored colors, this collection produces a dramatic and delightful contemporary twist to a classic shaker design. Nova Light Grey Shaker by Forevermark is a stained Eucalyptus Grandis wood in a beautiful variation of light grey color. 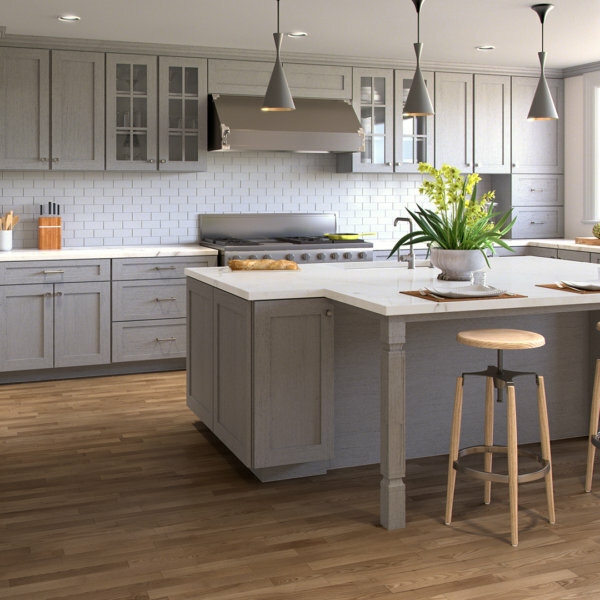 Nova Light Grey Shaker cabinets feature matching interior finish, soft-close drawers, full-extension drawers, plywood box construction, six-way adjustable hinges, and sturdy shelves with adjustable height. Shakertown by Forevermark offers a simple and clean design that will complements any home. 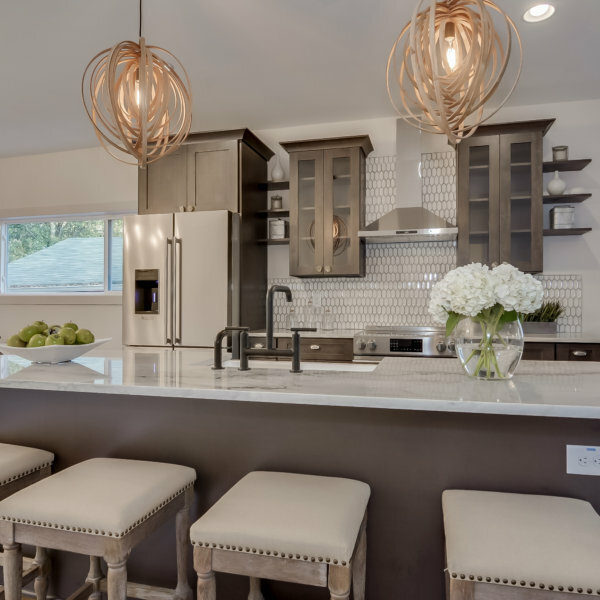 Kitchen cabinet design features a caramel honey finish that can, depending on the rest of the kitchen setting, can look both traditional and modern. Use Shakertown cabinets to achieve any look you wish and get endless possibilities to get a kitchen from your dreams. No matter what your vision, Shakertown will manage to create the perfect backdrop for your family’s activities and making memories. Ice White Shaker Cabinets by Forevermark will make any kitchen look larger and brighter. Clean and simple design pairs well with any kitchen layout, design, and color scheme. 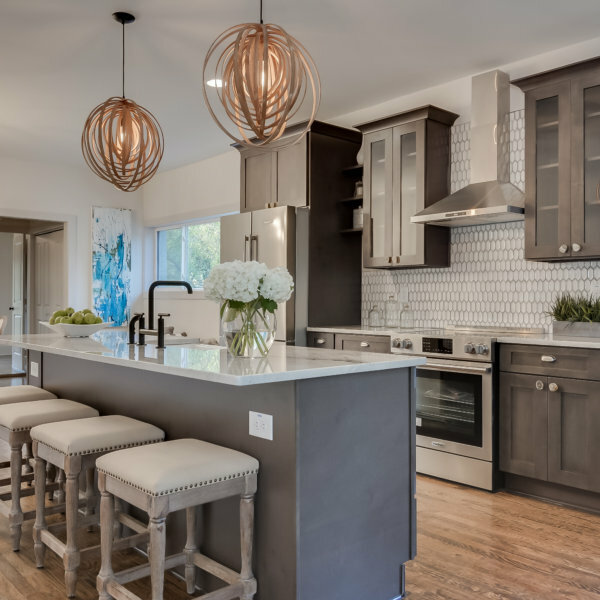 Adaptable enough for use in both traditional and modern homes, Ice White Shaker cabinets bring together a color and design combination that successfully transcends every kitchen trend. Greystone Shaker by Forevermark is a stained maple wood in a lovely shade of a timeless grey color. These cabinets interior finish that matches the exterior, full extension and soft-close drawers, six-way adjustable hinges that provide easy door adjustments, high quality, long lasting plywood box construction, and 3/4″ adjustable sturdy shelves with adjustable height. If you would like to add a modern yet timeless design to your kitchen, consider Pepper Shaker cabinets by Forevermark. With dovetail drawer boxes, full extension glides, and an espresso finish, Pepper Shaker produces a dramatic, contemporary twist to a classic shaker design. K – Series Cabinets from Forevermark merges a traditional door profile with a versatile color palette to suit any home. The K – Series from Forevermark Cabinetry is available in Cinnamon Glaze, Cherry Glaze, Espresso Glaze, Honey, and White Glaze. 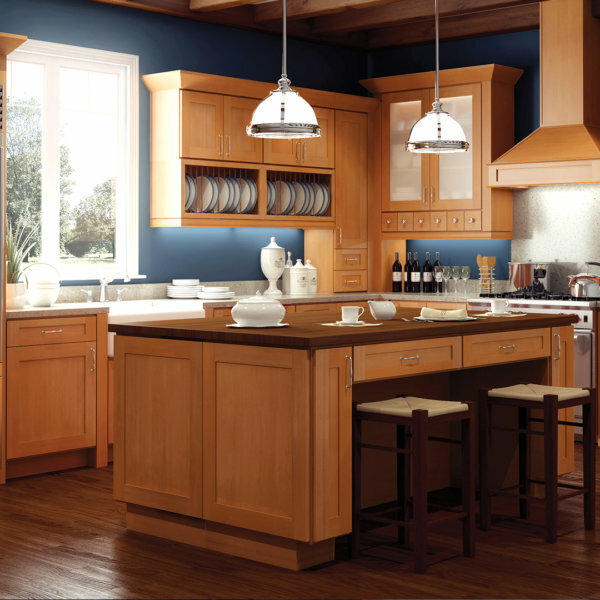 Forevermark Cinnamon Glaze kitchen cabinets add warmth and comfort to a room with its rich color. Raised door panels with a full overlay add a subtle, stylish accent to already beautifully refined look. Cinnamon Glaze Cabinets feature long-lasting plywood box construction, matching interior finish that secures a unified look between interior and exterior of the cabinets, sturdy shelves with adjustable height, and raised square door panel that accentuates a flat panel door. 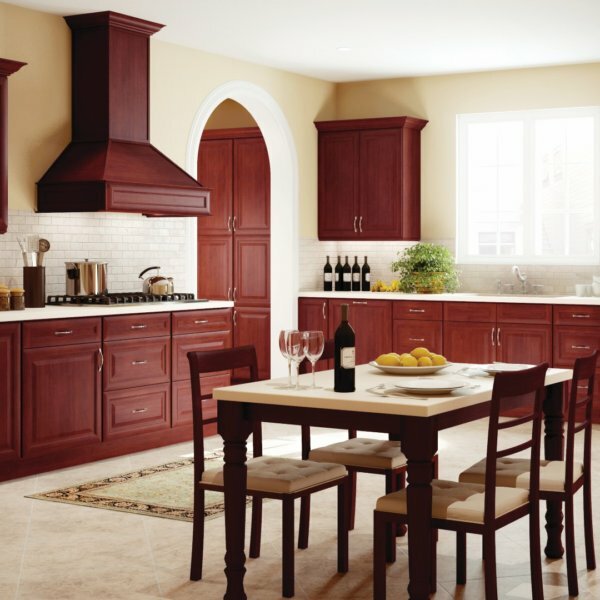 The deep and rich cherry color of Cherry Glaze kitchen cabinets by Forevermark adds natural warmth to the room. Raised door panels with a full overlay add a subtle, stylish accent to their already highly refined look. Cherry Glaze Cabinets feature plywood box construction, matching interior finish, 3/4″ adjustable shelves, and a raised square door panel. 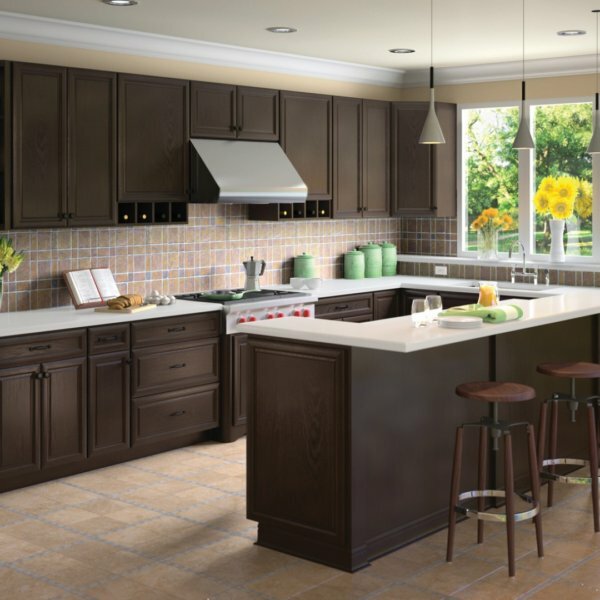 Espresso Glaze kitchen cabinets by Forevermark K – Series offers dark, espresso colored, transitional cabinets that radiate subtle elegance. Superior craftsmanship provides an excellent shape that will continue to serve you for years to come. Espresso Glaze cabinets feature high quality, plywood box construction, matching exterior and interior cabinet doors look, sturdy shelves with adjustable height, and raised square door panel. The Gramercy kitchen cabinet collection by Forevermark features crisp, versatile, and timeless raised panel cabinet door design, dovetail drawer boxes, full extension soft closing drawers, and soft closing doors. These kitchen cabinet characteristics will transform your kitchen into a place of comfort and sophistication. Gramercy White kitchen cabinets by Forevermark are light and modern. They have plywood box construction to last for a long time, soft-close drawers that slowly close to a stop and that have full extension, a quality that provides full exposure of all the content in the drawer, as well as easy door adjustments. Shelves are sturdy with adjustable height. The Town Cabinet Series by Forevermark combines a lasting design with subtle detailing, along with dovetail drawer boxes, full extension soft closing drawers, and soft closing doors. Uptown White kitchen cabinets feature a simple and elegant look. They provide a fresh and clean design to any kitchen space. All cabinets and drawers have a matching interior finish for a unified look of the cabinetry. Plywood box construction and dovetail drawers make Uptown White kitchen cabinets an excellent choice that will hold up for years on end. Midtown Grey kitchen cabinets from Town collection by Forevermark feature a simple yet elegant design. Stained in Eucalyptus Grandis, cabinetry adds a unique look to any home. Some of the exquisite features are: matching interior finish, plywood box construction, soft-close, full-extension drawers, and sturdy, 3/4″ adjustable shelves. 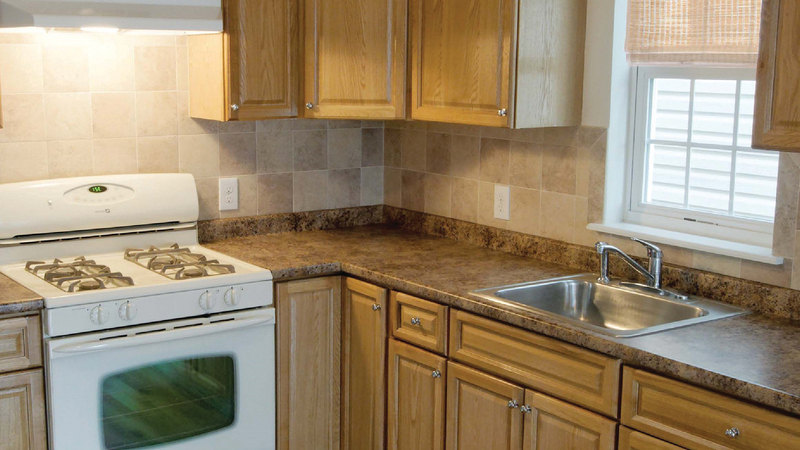 Let’s get started on your dream kitchen today! We will get back to you within 1 business day. A uniquely refined cabinet style, Sienna Rope will take your kitchen to extraordinary heights. Sienna Rope is designed with a distinct finish and engineered with full extension soft closing drawers and dovetail drawer boxes. Its delicate rope trim and glazing detail accentuates the craftsmanship of each cabinet. Make your kitchen your home’s main attraction with Sienna Rope. For a traditional style that works in any home, Country Oak Classic is the perfect match for those who appreciate the natural beauty of wood cabinetry. Oak cabinetry has long been treasured for its durability and versatility. Featuring a five-piece header and raised panel doors Country Oak Classic puts a spin on a time-honored classic design. 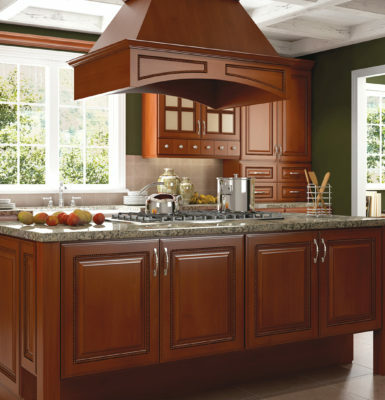 Deeply exquisite, Pacifica cabinets create unparalleled richness to your kitchen. Pacifica is constructed with dovetail drawer boxes and full extension soft closing glides for the ultimate in kitchen experience. 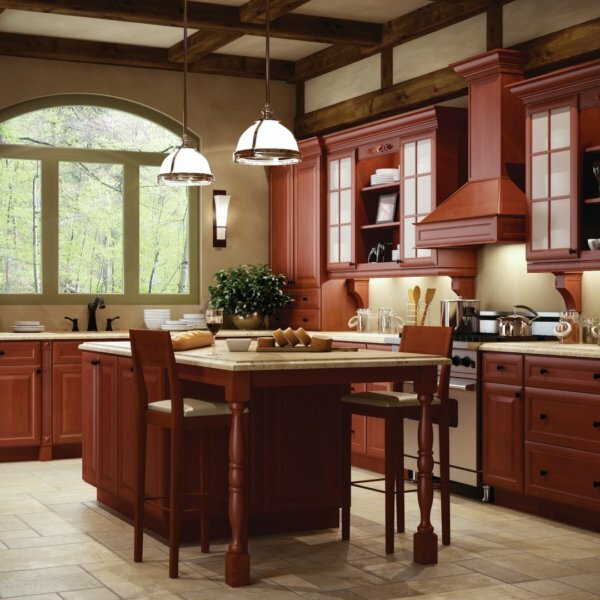 Its deep color and design come together so you can surround yourself in a kitchen that feels as lush as it looks. When you choose Forevermark cabinets for your NY kitchen remodel, you will not only get a classy and refined kitchen design; you will make a safe choice that ensures quality, durability, and functionality. Forevermark cabinetry is Kitchen Cabinet Manufacturers Association (KCMA) certified. 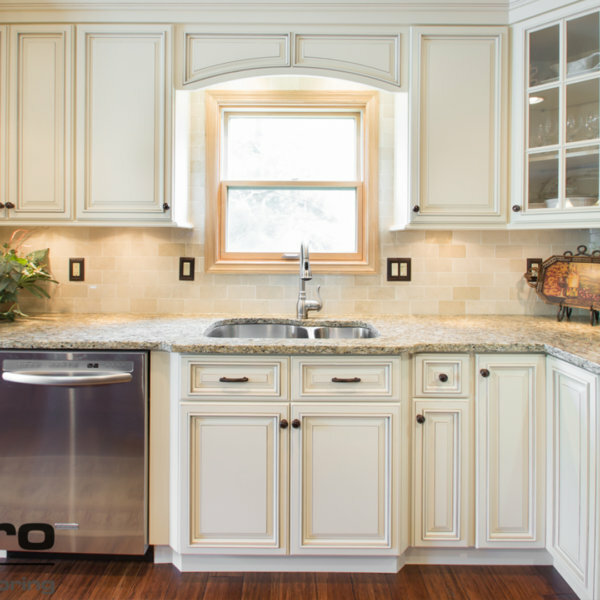 All KCMA certified kitchen cabinets are quality products able to perform after a rigorous batter of tests simulating years of household use. 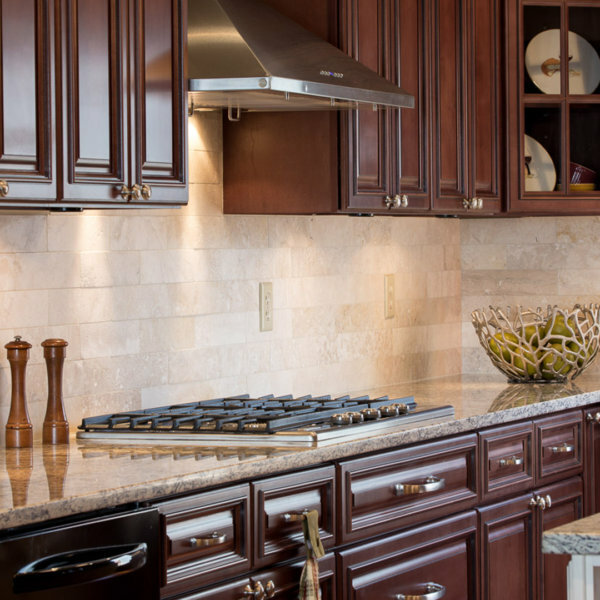 When choosing Forevermark kitchen cabinets, you’re choosing cabinetry with a warranty. Forevermark offers a two to the five-year limited warranty on both hardware and cabinetry parts. The warranty guarantees that cabinets are free from material or workmanship related defects under normal use to the original owner. All painted door styles have a two-year limited warranty. Forevermark Cabinetry will replace defective parts and ship to you at their cost using the most appropriate shipping method. This is why Forevermark cabinet dealers love working with this company and also a reason why Forevermark cabinets complaints are so rare. The level of responsibility and unparalleled customer services, as well as continuous striving for excellence, is what truly sets them apart. Forevermark cabinets are environmentally friendly. This is one of the most important qualities in the modern world. 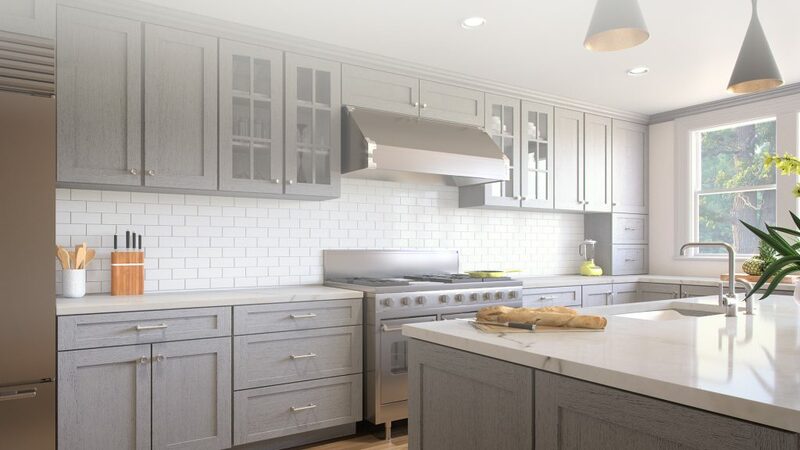 All kitchen cabinets made by Forevermark are independently tested to meet or surpass all California Air Resources Board standards for emissions. Select products with additional environmental certifications are also available. Forevermark cabinetry uses only the best finishes on their products. 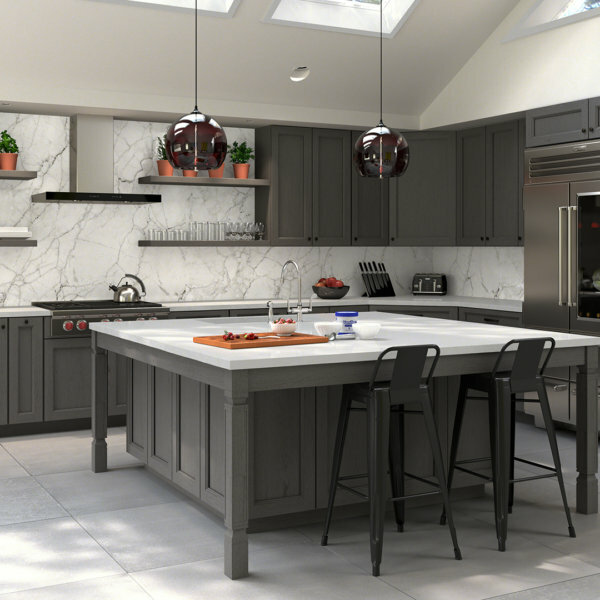 Waterbourne UV finishes furnished by Sherwin – Williams are used on Pepper Shaker, Signature Brownstone, Greystone Shaker, Nova Light Grey Shaker, and Midtown Grey from Town Cabinet collection. Waterbourne UV finish is used on Gramercy White, Signature Pearl, and Ice White Shaker. Waterbourne UV finishes are superior because they guarantee superior scratch resistance, low VOCs, reduction in environmental impact, and they are formaldehyde-hazard free. 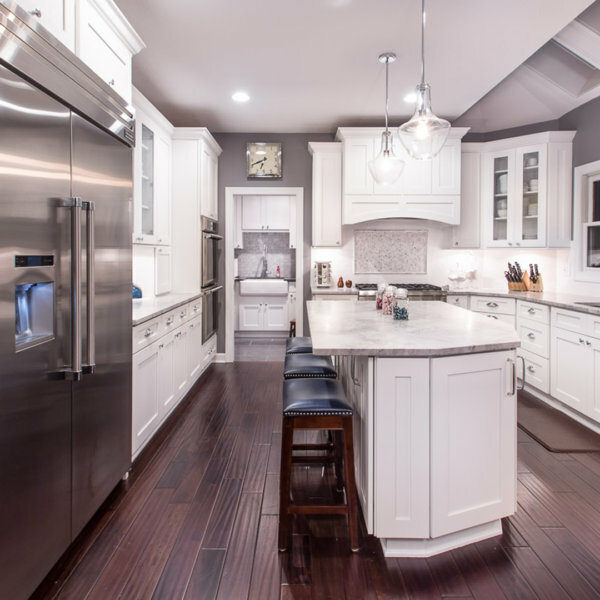 Sherwin – Williams coatings used on Forevermark kitchen cabinets provide high-quality products manufactured and designed to reduce environmental impact, meet and exceed even the most stringent regulatory requirements, and last for many years. Choosing Forevermark cabinetry means that you won’t have to choose between what is good for you and what is good for the nature. With Forevermark, you get superior, sustainable products that are good both for you and nature. Highest performance standards and quality look that lasts are enough to make you choose Forevermark kitchen cabinets for your kitchen remodel project. Almost all Forevermark cabinets reviews testify that this brand is indeed affordable. 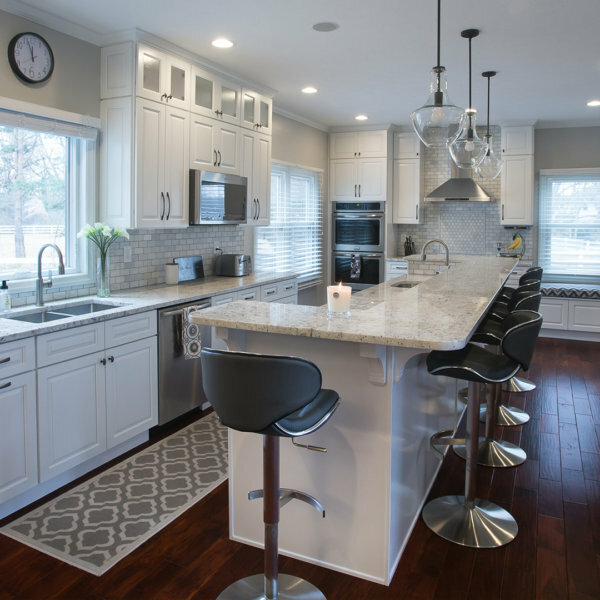 If your goal is to save the money and make your kitchen look and perform great after the remodel, Forevermark Cabinetry is the brand you should opt for. Homeowners that installed the cabinets by themselves say that the products come out exactly as described and expected, that they were very well packaged, and that there were no damages or scuffs of any kind. Forevermark cabinets complaints are very rare. The only downside to Forevermark kitchen cabinets is that it was a bit complicated for homeowners to put the cabinets together by themselves. Some Forevermark reviews say that these cabinets were the ones. 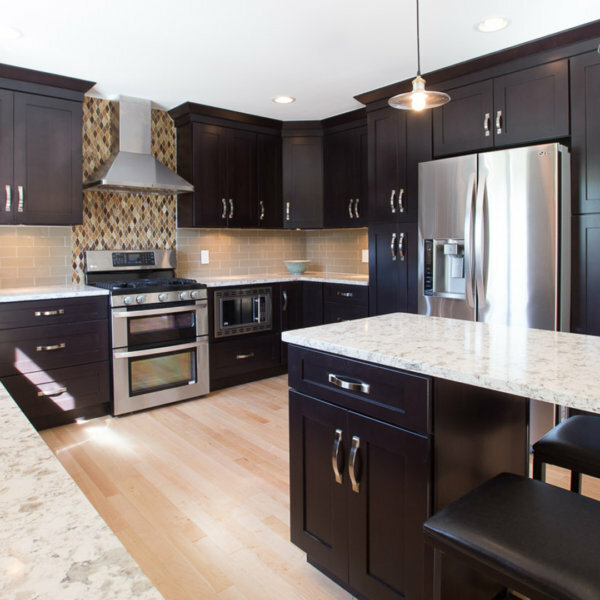 The cabinetry was delivered within a week after the homeowners had an opportunity to buy Forevermark cabinets online. After the homeowners checked their list and layout, made some adjustments and upgrades, added assembly, and placed the order, their Forevermark cabinets arrived. They especially emphasized how happy they were with the price, delivery included. Based on Forevermark cabinets reviews, Forevermark brand delivers what it promises. Based on the feedback we receive as one of the Forevermark cabinet dealers in NYC, we can confirm that Queens, Brooklyn, and Manhattan residents absolutely love Forevermark cabinets. You can see Forevermark cabinets online on our website and make sure that they fulfill everything your home and kitchen space require, as well as what you need style-wise. However, we recommend you to visit our kitchen cabinet showroom in Queens NY. We are located only 5 minutes from Manhattan and are really close to Brooklyn. Come to see Forevermark cabinets sample door styles. Nothing beats seeing cabinet door color, finish, and quality in person. You can trust us, but you should also see a wide choice of Forevermark cabinets for yourself. Forevermark cabinets are versatile in colors and sizes and they will fit any kitchen space. However, to ensure the best possible results, you should measure and plan your kitchen space. Carefully configure the precise dimensions of your kitchen space. Take exact locations of hood vents, heat vents, exhaust, gas lines, water line, drain line, doors, windows, light fixtures, switches, and outlets. Also, don’t forget to list existing or desired appliances. Be sure to indicate the location of wall mounted appliances and fixtures, 220-volt outlets, telephone and cable locations. You may think that the layout will play an important role when choosing cabinets and you are somewhat right. But you should have in mind that even with the best layouts there are some corners that need a filler and can be used. Measuring and planning can help you get the most functional kitchen layout and storage. Our helpful staff will be here for you when you finish measuring and planning and answer any questions you may have. We will be happy to advise you how to use the most of the space you have and what type of Forevermark cabinets to use. With free estimate, you can get a free 3 D design, so you don’t have to imagine how will Forevermark cabinets look in your home. With our 3 D design service, you will see exactly how they will look like, how and where cabinets will fit, what corners you should fill, and how you can save even more space. 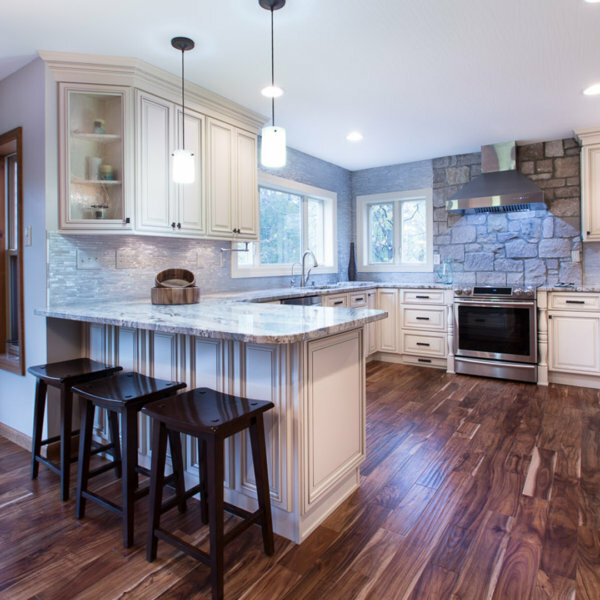 Choosing the best quality cabinets with least environmental footprint and detailed planning of your kitchen space will make your kitchen remodel in NY a success. Forevermark cabinetry is sturdy and durable. Considering its high-quality colors and finishes, you can be sure that they are easy to maintain and that keeping them clean is piece of cake. However, in order to give them the best possible start, make sure to follow our guidelines on how to handle them after they are delivered to your home. These guidelines are general and represent the best practice. You can follow them regardless the brand of kitchen cabinetry you choose. After the cabinets are delivered to your home, make sure to store them in a space with 40 to 50 percent relative humidity. Be aware that humidity above 70 percent or below 20 percent is likely to cause problems with your wooden kitchen cabinets. If you decide to store your newly bought cabinetry in a basement, garage, or some other space where the temperature and humidity differ from the kitchen space where the cabinets will eventually be installed, wait with the installation for a day or two. The cabinetry needs to acclimate to their final environment before installation. After your Forevermark cabinets are installed, wipe down all cabinet and drawer interiors and exteriors with a lint-free damp (not wet), soft cloth. Be careful not to scratch the finish. Make sure to rinse the cloth frequently and thoroughly. Dry each clean area immediately using a different, soft and dry cloth. Light daily maintenance will ensure Forevermark cabinets superior performance and long-term beautiful looks. Any grease, oil, drips, and spills should be wiped as soon as possible. Be aware that if prolonged exposure to water and other liquids can cause discoloration and other damage to wood cabinets. This is why it is important to wipe down the liquids and dry the exposed area immediately. Cleaning your Forevermark cabinetry using a soft, lint-free cloth and a mild cleaner diluted with warm water is enough to keep your cabinets look great. Don’t forget to dust your kitchen cabinets using, again, a slightly dampened, lint-free cloth. To maintain the shine of your favorite Forevermark cabinets, occasionally use a mild wood cleaner. Home Art Tile Kitchen & Bath is a kitchen cabinet showroom located in Queens, at 35-10 43rd Street Long Island City, New York. Conveniently positioned only 5 minutes from Manhattan and close to Brooklyn, we make Forevermark cabinets fast-sellers among the NY residents. Versatile in style, color, and sizes, Forevermark kitchen cabinets are convenient both for families and individuals and for both slow and fast-paced lifestyle. Although we don’t offer you an option to buy Forevermark cabinets online, we give you an opportunity to see the whole catalog on our website and choose those you love the most. Anyone who wants to make their kitchen a functional cooking space upgraded with style should consider Forevermark Cabinets. Their characteristics, their durability, sturdiness, ease of maintenance, stylish look, and low price are enough reason for you to contact us today and get your free estimate.